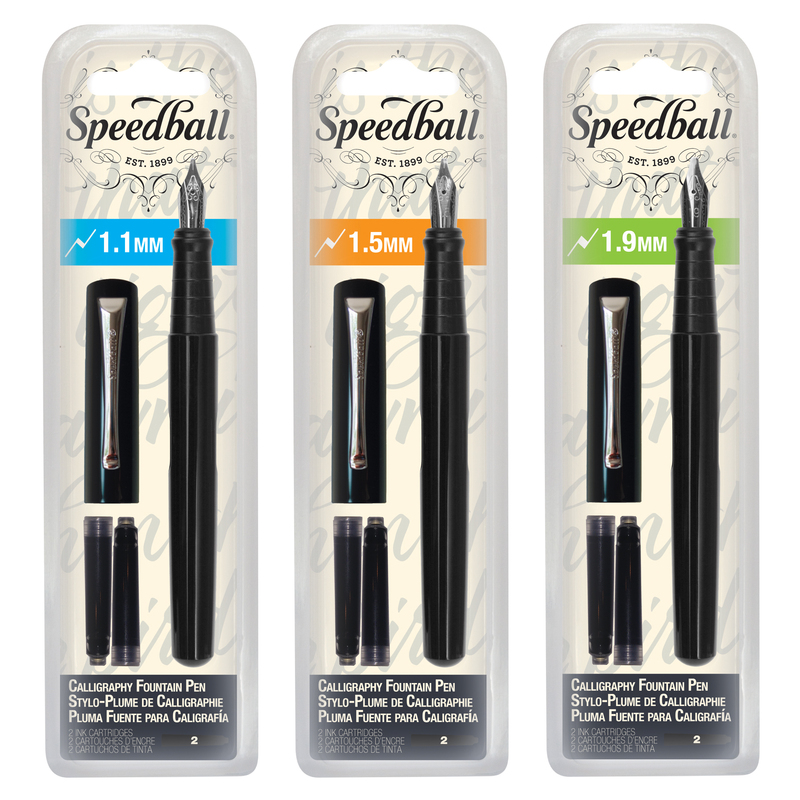 Calligraphy Fountain Pens are available in 1mm, 1.5mm and 1.9mm nib width sizes and include (2) universal cartridges (Black). Replacement cartridges sold in packs of (10) in either Black or Assorted colors. 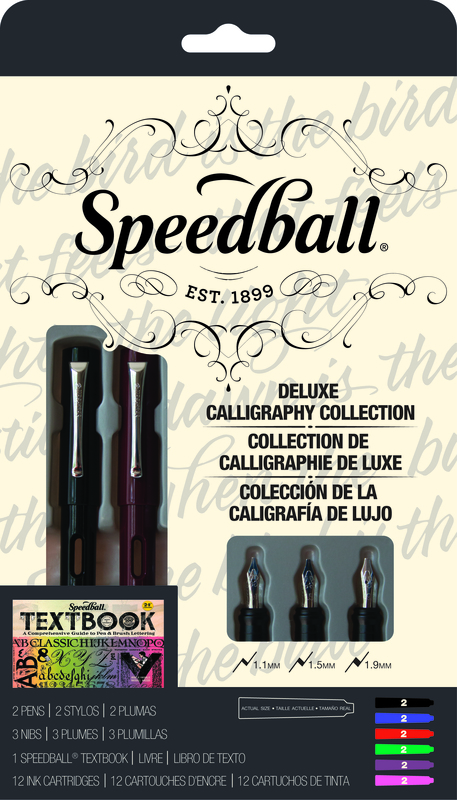 Rounding out this impressive line, Speedball's Calligraphy Fountain Pens are available in two set configurations. These sets are offered at a value price and perfect for gifts or simply adding to your own collection. 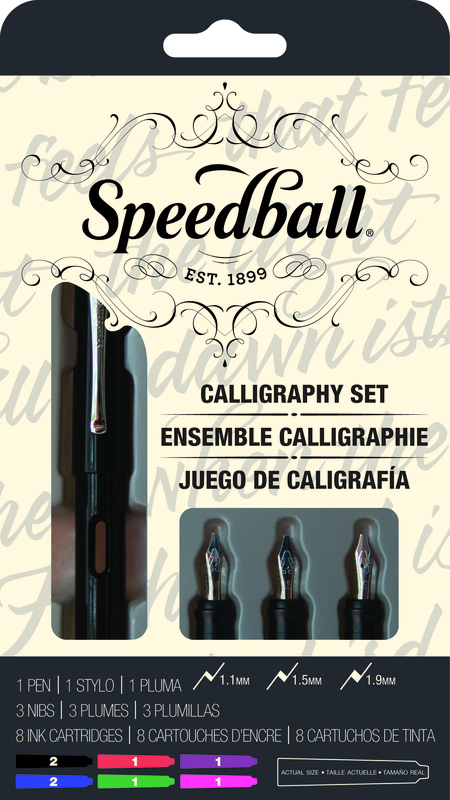 Basic Calligraphy Fountain Pen Set: (1) Speedball Calligraphy Fountain Pen; (3) Fountain Pen Nibs (1.1mm, 1.5mm, 1.9mm); and (8) Ink Cartridges-(2)ea. Blue & Black, (1)ea. Red, Purple, Green, Pink. 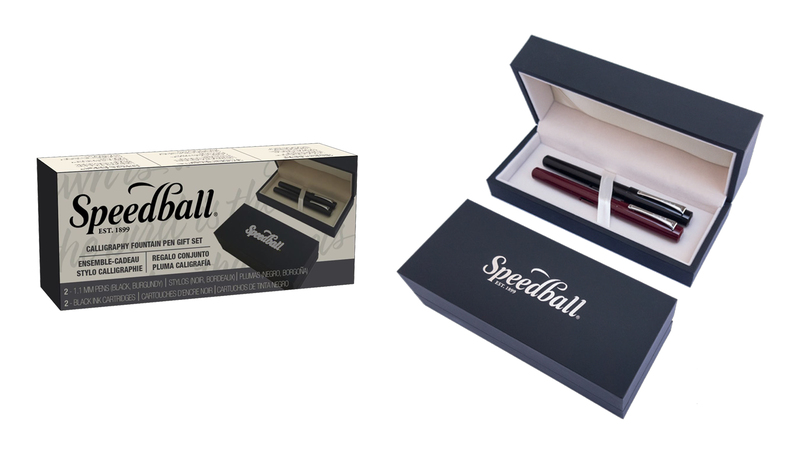 Deluxe Calligraphy Fountain Pen Set: (2) Speedball Calligraphy Fountain Pens; (3) Fountain Pen Nibs (1.1mm, 1.5mm, 1.9mm); (12) Ink Cartridges-(2)ea. Black, Blue, Red, Purple, Green, Pink. 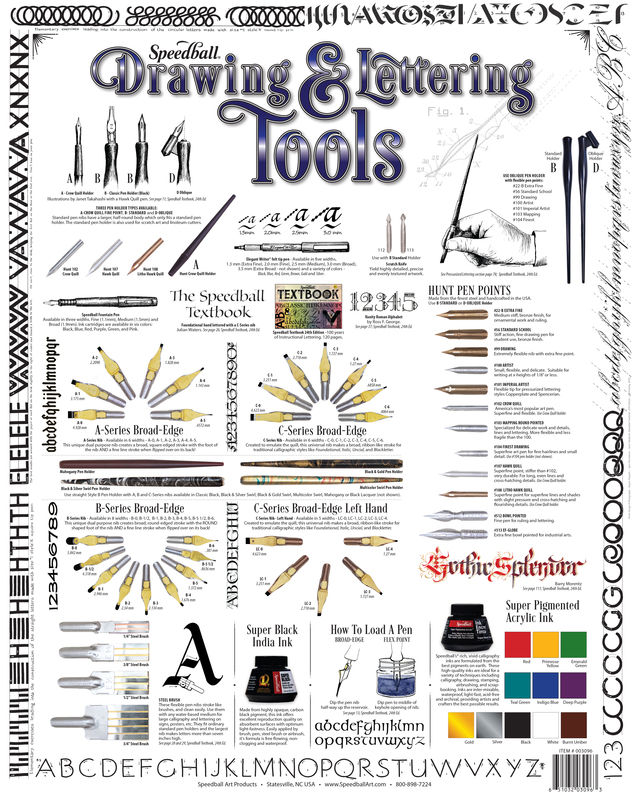 Also features the preeminent resource in lettering instruction, The Speedball Textbook®.